Is Eyebrow Growth A Faint Memory For You? Treating the source may lead to your hair growing again by itself. 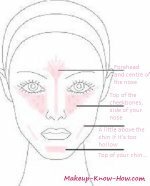 Gauge your problem first, and decide whether its big enough for topical remedies. We're going to look particularly at growing hair where there's no major underlying and ongoing cause. Let Your Eyebrows Grow. The most important action you can take is to leave them alone. Stop tweezing, stop shaving and just give them about a year to grow. If you have to, ﻿only pluck stray hairs to promote eyebrow growth within your shape. Stimulate the Hair Follicles. Brushing every day helps with blood circulation. This, in turn, stimulates the hair follicles. Take your daily multivitamins- There’s no real evidence, but a healthy diet means healthy hair when you're generally well. A multivitamin helps because then you get most of the vitamins you need for your body’s building blocks. The only FDA approved prescription medication for eyelash growth is Latisse. It’s a treatment with the active ingredient bimatoprost, also available as Lumigan®. Originally, the product treats glaucoma, but then it was noticed to increase eyelash growth. It activates the receptors in the hair follicle to stimulate growth. 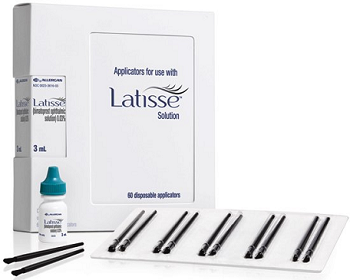 It’s been widely proven to work in lattisse clinical trials for eyelashes, and can also be used for eyebrows. The main downside is that if you stop using it, you’ll start seeing your normal eyebrow growth patterns within roughly two months…Yep. You must also be careful about where you apply the product, because it promotes hair growth in the places that it comes into contact with. These are some of the best growth serums according to independent reviews from consumerguides. The safest active ingredient in growth serums proven to enhance eyebrow hair growth is Myristoyl Pentapeptide-17(MP-17). Look for it as one of the main ingredients on the list. Ingredients are listed in order from the one with the highest weight, to the least. Hence the higher it is on the list, the better. City Lash Eyelash Enhancer (Amazon) has mixed reviews, with some raving about it, but others ending up with bad reactions. So if you have sensitive eyes, take a look at the ingredients before you purchase the product. Obagi ElastiLash Eyelash Solution(Amazon) works for some, and not for others. It does have a good dose of MP-17, and is worth a try if you haven’t tried everything. Jan Marini Eyelash Conditioner(Amazon) is similar to the other two above. In the same way that the Latisse stops working when you’re not using it, so do these products. Over a two month period you might spend from about $60 for the treatments. There are permanent(expensive and sometimes painful but longer lasting) ways to put eyebrows where they refuse to grow. These are almost intrusive and expensive and specialized, so you can consider them if your problem is really bad. I’m not sure if I would consider it myself, but these procedures exist so there must be women out who are brave enough! This can fall under the category of ‘permanent makeup’. You basically tattoo a very real looking eyebrow into the surface of the skin. When you’ve identified someone with a good track record, they can look very, very good. Here, hair is taken from other parts of your body (Maybe the neck), and is transplanted onto the brow area. Sometimes, they can take a piece of the actual hair bearing skin and plant it onto the eyebrow area. The hairs will grow according to where they come from, so they might need to be trained with eye gel, and trimmed regularly if they’re growing too long. For example, if you take hair from the back of your neck, it might grow to be three times as long as eyelashes should, so it would need to be trimmed more than others. Or it might be more curly and thus need straightening. This procedure costs from about $600, but varies widely because of the difference in the amounts of hairs that different people need. Although the options are limited, try those that are available if it will have a real impact on the way you look and feel. Otherwise, eyebrow powders will also make a difference.